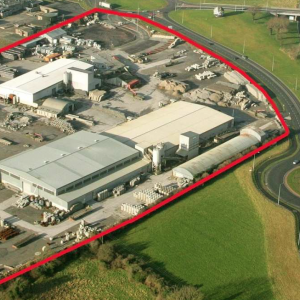 Applegreen will develop the former Concrete Pipes site at entrance to Naas. Kildare County Council last night approved an application from Applegreen and associates to develop the old concrete pipes site at the entrance to Naas to become a new service station, training centre, office space and national headquarters. This is great news which see more jobs coming into the area. This site had become derelict in recent times and was a black spot at the entrance to our county town. I repeatedly called for action at this site when on the council and I supported this application when it was lodged. The new facility is expected to produce up to 400 new jobs and is very welcome for the town and area. It is welcomed news that another large organisation such as Applegreen has chosen to invest in Naas following on from the opening of Meadows and Byrne in the town. I look forward to working with other businesses to assist them in opening and growing in Naas and the surrounding areas.